Produced according to the highest quality standards with an excellent traction, manoeuvrability, stability and resistance to impacts. 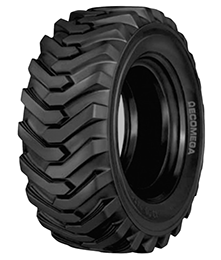 The self-cleaning profile and the high percentage of natural rubber guarantee a long tyre life and high resistance, widely tested on harsh surfaces, typical for on & off road applications. This model version is used for O.E.M.